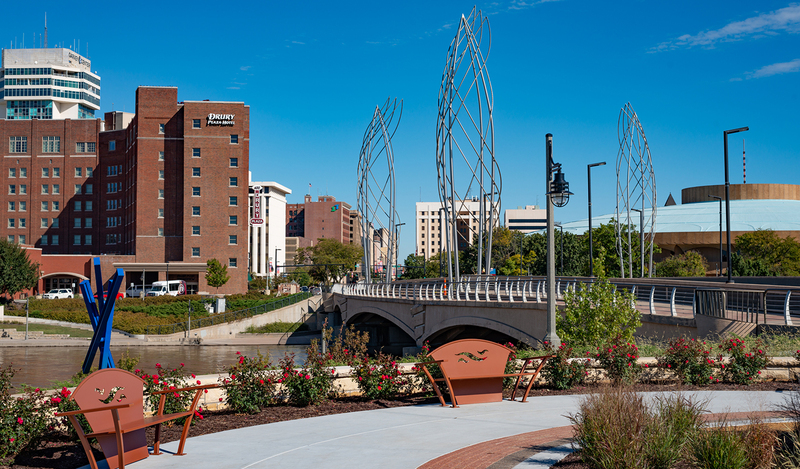 As part of an ongoing effort to redevelop the Arkansas River Corridor through downtown Wichita, LK Architecture was selected to work with the city and the adjacent property development, River Vista, to redesign 950 feet of river bank frontage. 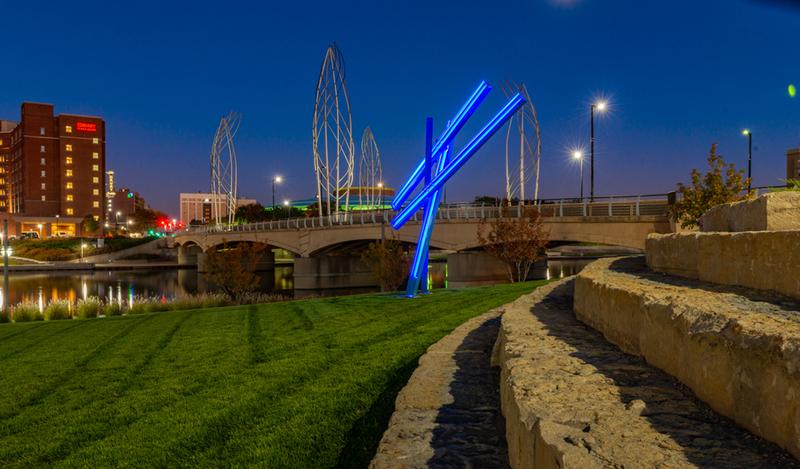 The design was to accomodate the proposed residential development while creating a public space to faciltiate access and green space along the Arkansas River. 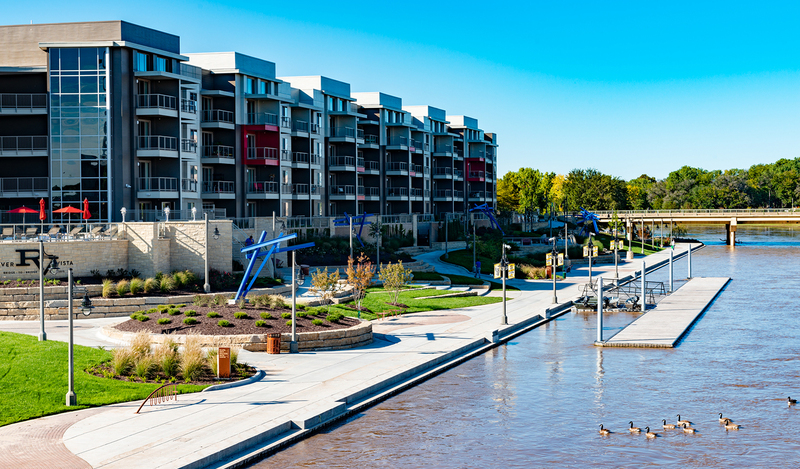 The final design maintains the cohesive design character of previous phases of construction while addressing the unique challenges and goals for this section of the river corridor. 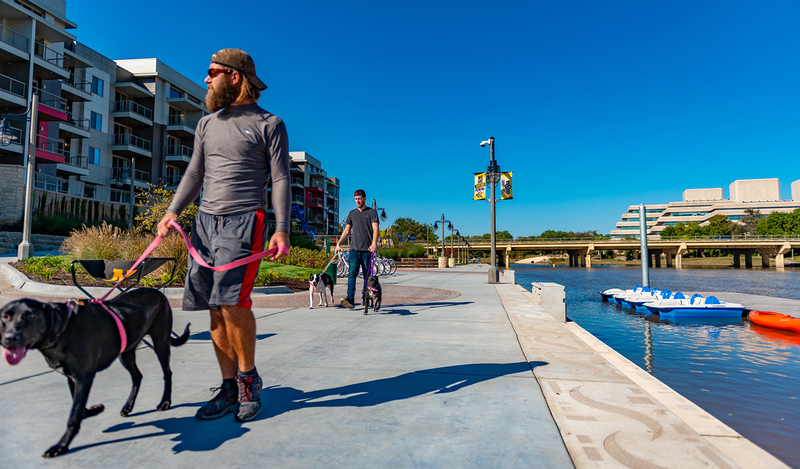 Improved access via bicycle/pedestrain pathways link to the street at each end of the project and the entire circulation system is fully ADA compliant. 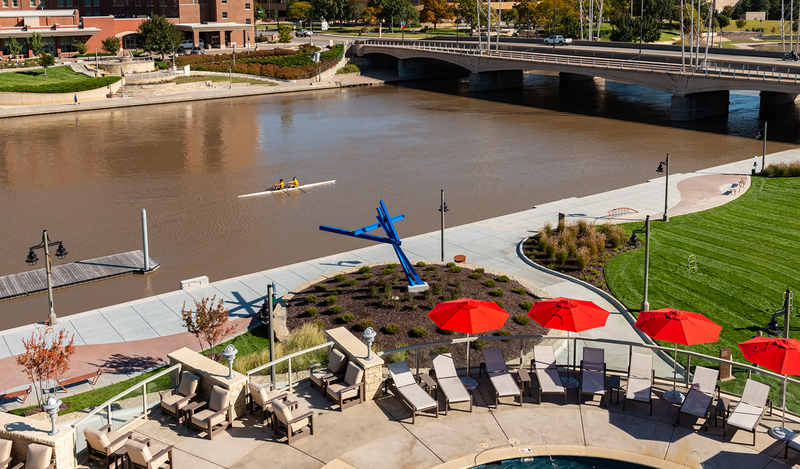 The river’s edge is to be improved with sheet pile and cap which facilitate the inclusion of both a floating stage and boat dock. 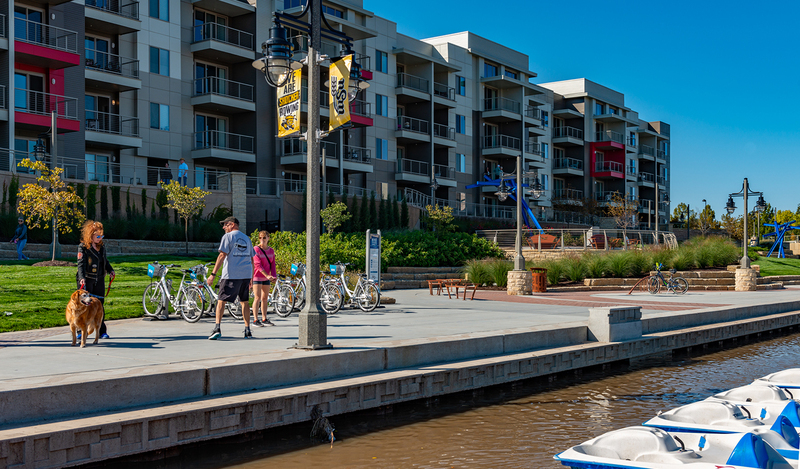 The floating boat dock was programmed along with a boat/bike rental facility which will be located in the basement level of the adjacent development to encourage more activity along the river. 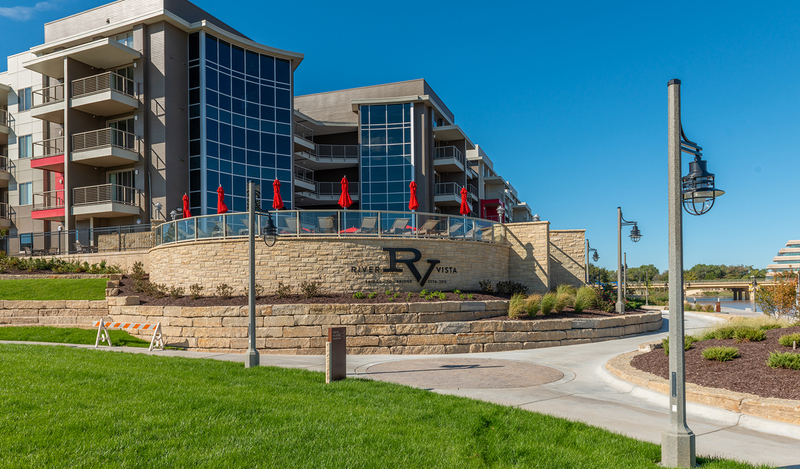 Along the River Vista apartments is a substantial grade separation which divides the public and private areas with a retaining wall. 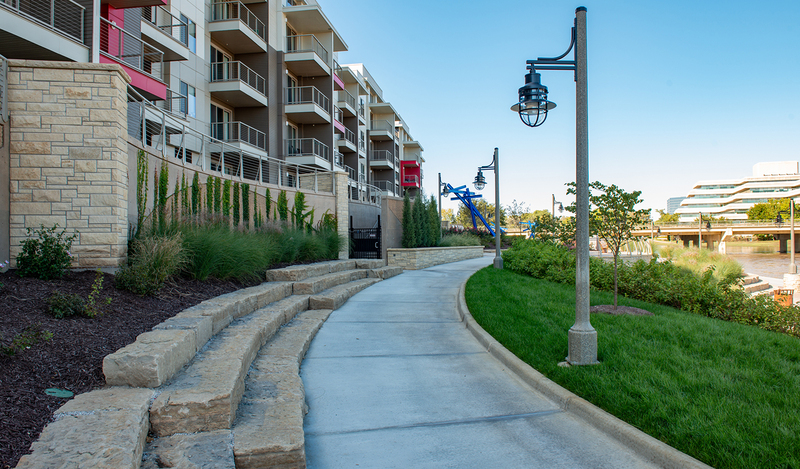 The design of the concrete retaining wall responds to the curvilinear forms of the overall design in both plan and elevation. Each segment is curved in alternating concave and convex shapes and terminates at stone columns. 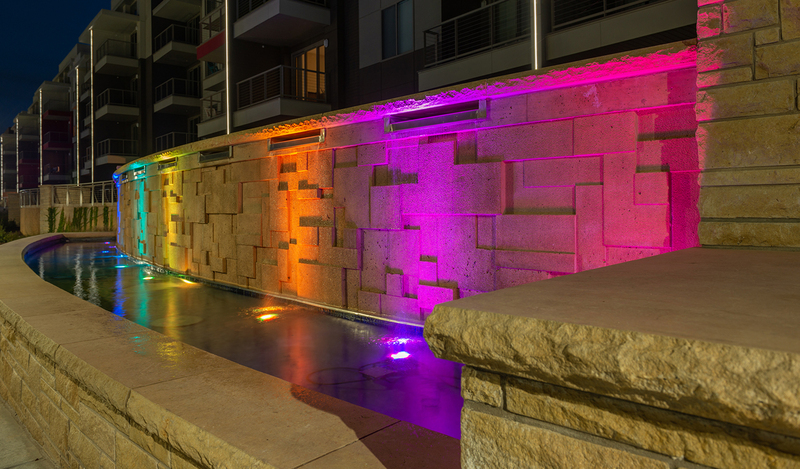 The wall is cast in colored concrete with form liner finish. 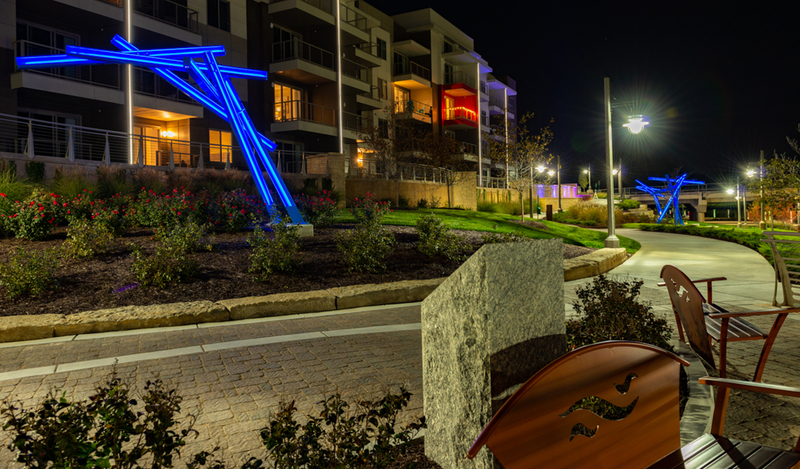 The grade separation of the two spaces offered an opportunity to enhance the pedestrian experience at street level with a linear fountain element. 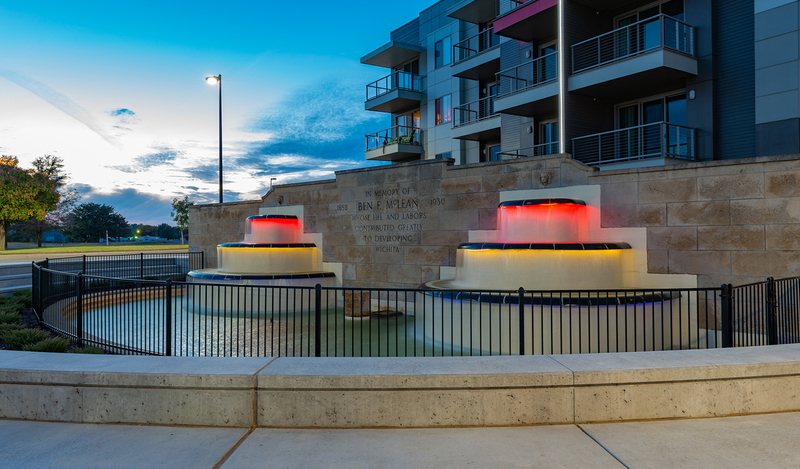 The 100 foot long fountain gradually increases in height from street level as the pathway slopes down towards the river’s edge. 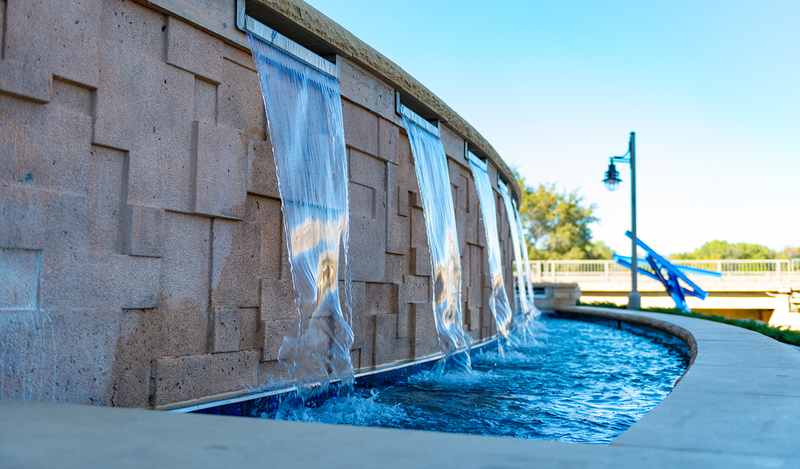 The fountain features 18 water falls and 18 bubbers to optimize water play and sound to aid in buffer road noise from First Street. 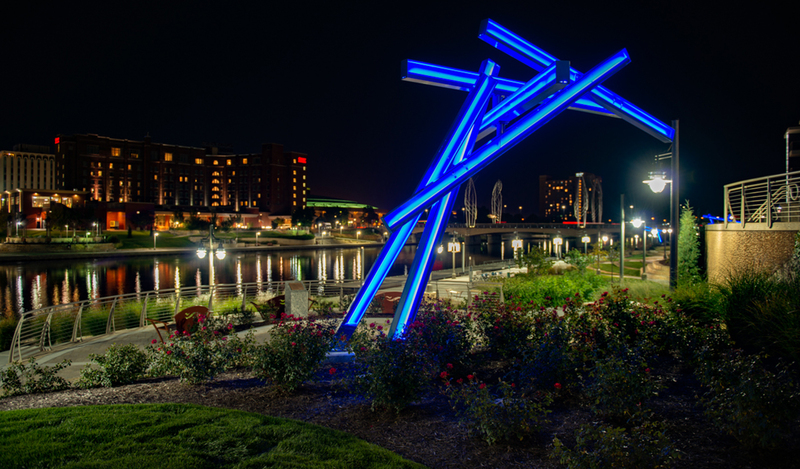 The project will also transform Delano Park from an underutilized green space to a transitional area from the street to the river. This allowed for the creation of an open space which can be utilized for outdoor events in combination with a floating stage. 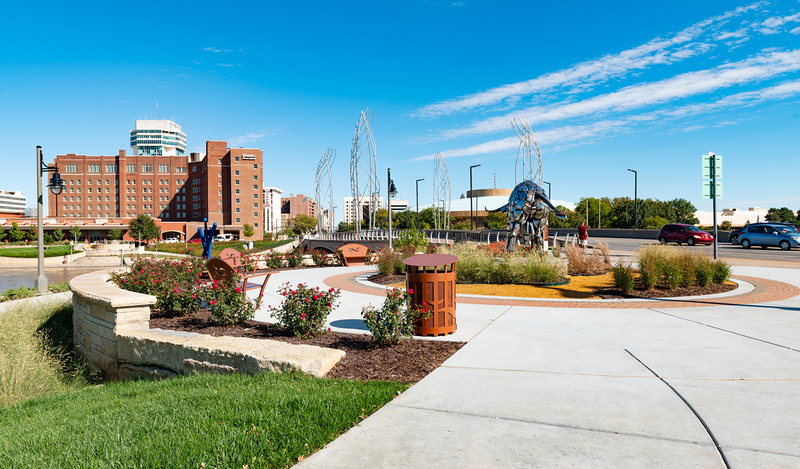 The redesign of Delano Park also creates a more cohesive and usable space at the street intersection between the Delano chrome bull statue and the historic McLean Fountain. 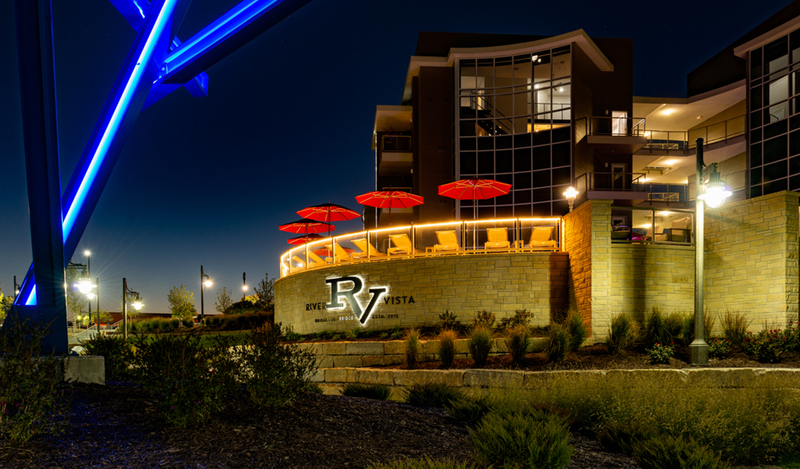 The connecting space between these elements is designed as a hard-surfaced bosque providing spectators and visitors a comfortable respite.